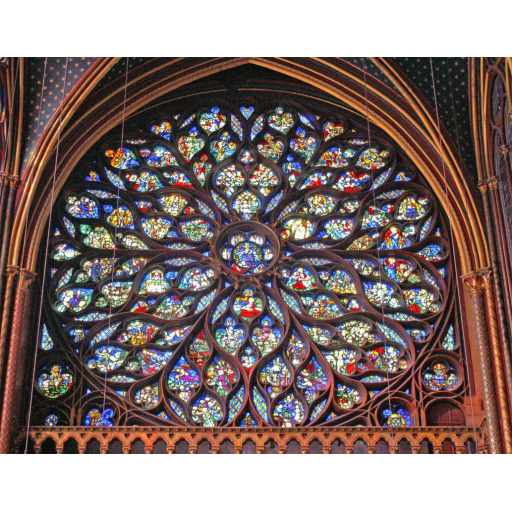 The style is rayonnant gothic. 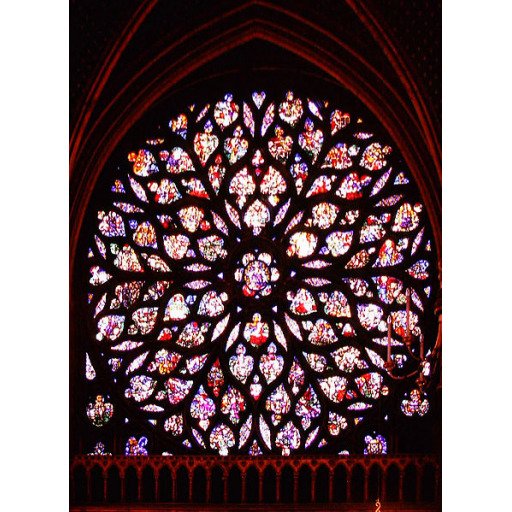 The rose window is a symphony of curves and colored glass. See image since a description is of limited value. The world is open and bright and colorful and gay. The entire chapel is the epitome of open, weightless gothic architecture, since you are entirely surrounded by soaring glass panels with minimal vertical structure.